LaunchPad toolchain 20111001 is out! 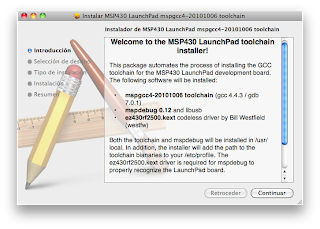 The older mspgcc4 toolchain has been merged into the mspgcc project at sourceforge. Efforts have been geared towards supporting a greater variety of MCUs that include both the MSP430G2231 that came with the LaunchPad as well as the MSP430G2452 included with TI's Capactive Touch Sensor Booster Pack. Terence, a.k.a PentiumPC has just come up with a kernel extension that supports both programming/debugging and virtual serial communication!! This is great news for the LaunchPad community because an official VCP driver for OS X has been missing all this long. Enjoy and please drop a comment with successful installations, error reports or flames. Apparently, the behavior of the LED while the computer is sleeping is tuned to resemble the human breathing rhythm at rest! Things like these give a better understanding of Apple's meticulous attention to detail and how much of your MacBook's $999 went into patent attorne-- ALL GLORY TO THE BREATHING LED! We are going to use PWM to drive the LED and change its brightness according to the above graph. This is where the PWM magic happens: as it turns out, the LED brightness is proportional to its duty cycle (ie. the ratio of time it stays lit on each period). Remember we set pin 1.6 to follow "timer A's output"? 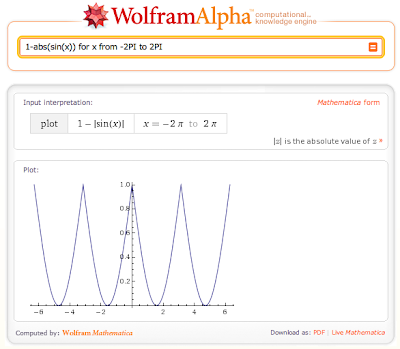 Now, here's where we define how that output behaves. We configure it so that it's high (set) when it counts to TACCR1 and low (reset) when it counts to TACCR0. That's what OUTMOD_7 does. So, by giving TACCR1 values within the [0..625] range, we'll make the LED glow more or less (the higher, the brighter). CCIE enables interrupts every time the timer hits TACCR1. We will use the interrupt to update the TACCR1 value according to the breathing curve. Now put the CPU to sleep. We are just waiting for interrupts here. The return is kind of silly (we're never returning anywhere) but keeps gcc happy. // This will be called when timer counts to TACCR1. We are almost done. When setting a new TACCR1 value, we need to wait until TAR (the timer counter) has gone past it, otherwise we'll hit TACCR1 twice or more in the same period! That's it. I hope this helps anyone getting started with timers and PWM on the MSP430 family! Unzip it. Then, run 'make install' to download it to your LaunchPad. mspdebug no longer needs replugging to detect the board. Just download, unzip and install.